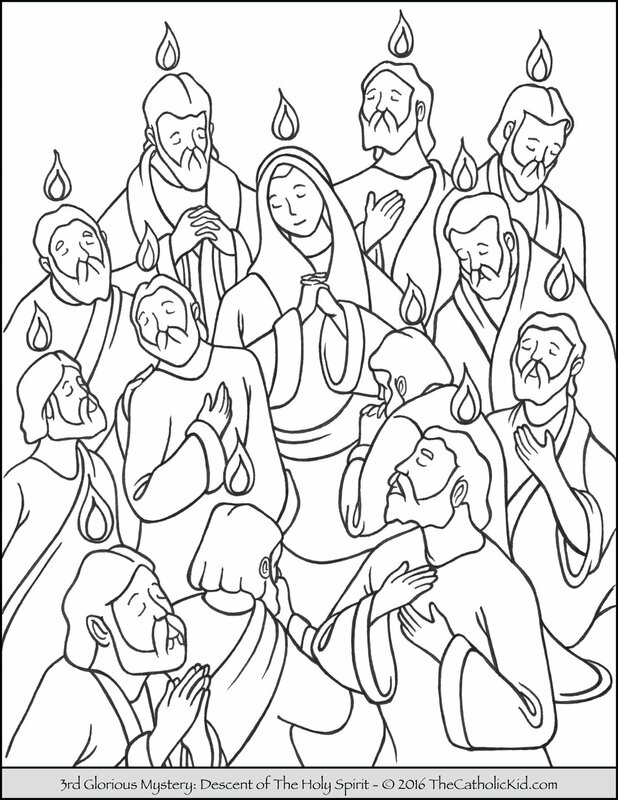 This is a great coloring page for Pentecost Sunday. It depicts Mary with the apostles during the decent of the Holy Spirit on Pentecost. On Pentecost, the Holy Spirit descended upon the Apostles and Mary. Pentecost is 50 days after Easter. We use the color red to signify the Holy Spirit.